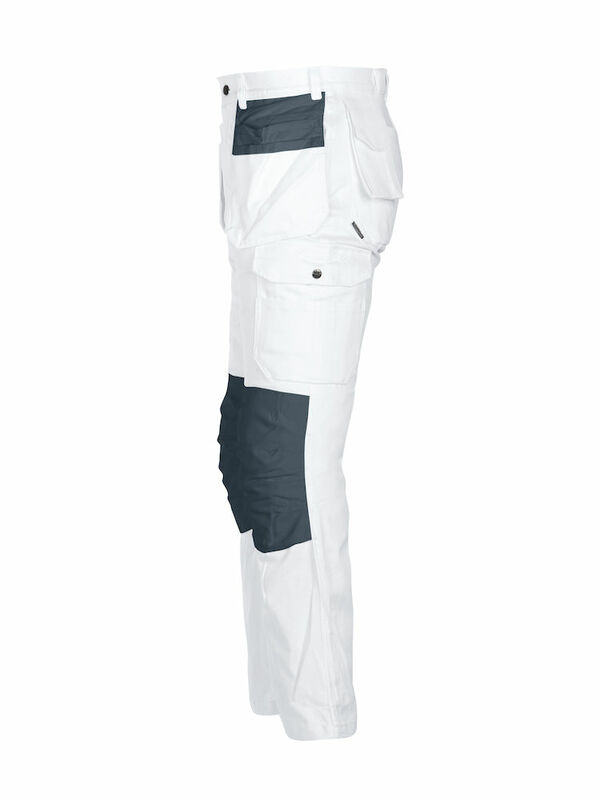 JOBMAN's exclusive line of painter's clothing brings new comfort to the job. These unlined garments are made from heavy 100% cotton developed by JOBMAN for this application. This material maximizes absorption and minimizes paint penetration. The use of cotton ensures these garments are comfortable to wear, as they breathe and release body heat. These deluxe painter's pants have a phone pocket on the hip with a rip-away velcro strip to reduce hang-ups. The roomy hoster pockets have an extra compartment and reinforcement. Side slant front pockets allow the holster pockets to be tucked in when not needed. Hammer holder and reinforced back pockets. Reinforced front filler pocket, unattached at the bottom, and knife button. Leg pocket also has a phone compartment. 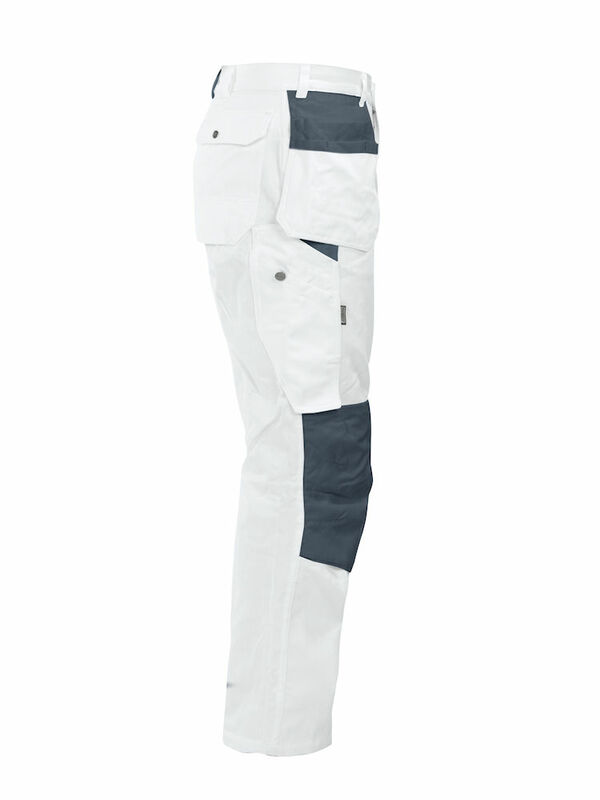 Pre-bent knees with kneepad pockets in new durable material. 100% cotton, 300g/m2. I've tried many types of painters paints and these are my favorite. They seem to have been designed by somebody who actually uses them and knows what features are good. They are durable, look great, and fit well for me. They are more expensive, yes, but I don't even wear the other pants I tried out so it was a complete waste of money. They also offer a free exchange program (which includes all shipping) if the size you order doesn't fit properly. You just have to leave the tags on. That's why I was willing to try them in the first place, and I'm glad I did. I now own several pairs and love 'em!